Note the way they are gathered around, admiring each other. They'd look even better if the wood was painted white and sanded down to look old, but that's a project for another day. Thanks for the photos! 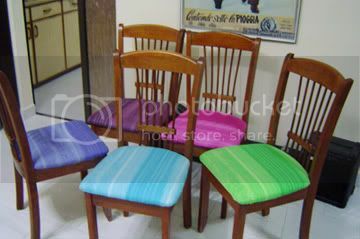 The chairs look great, Yoj! They really do!